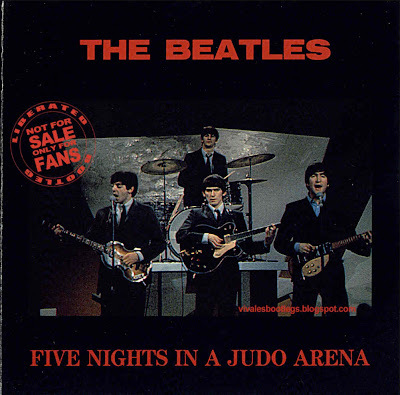 Recorded Live at Budokan Hall , Tokyo , Japan - June 30, 1966. 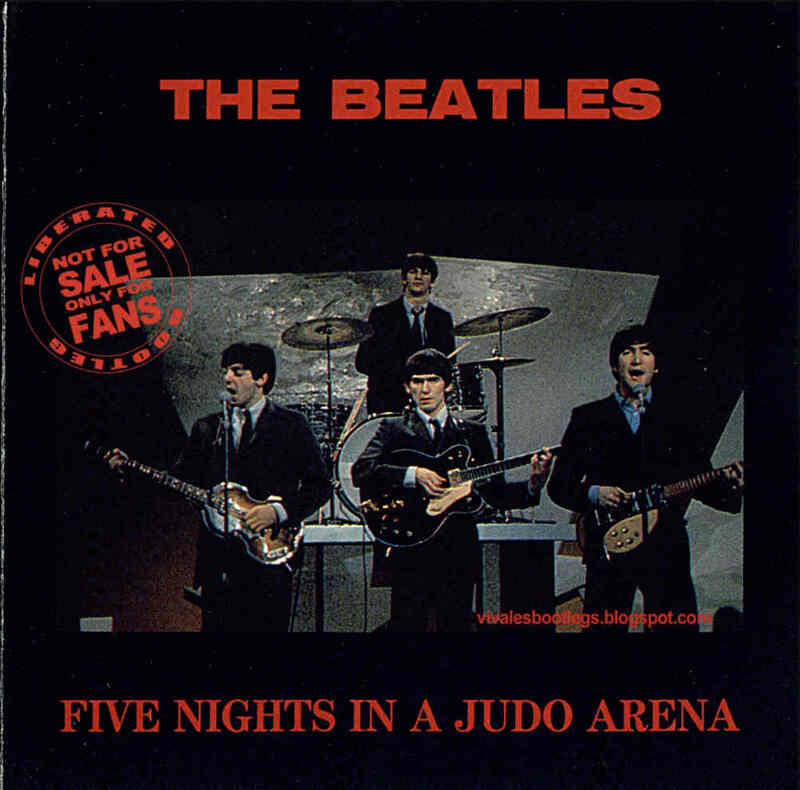 Files: 13. :: Size: 77,03 MB. 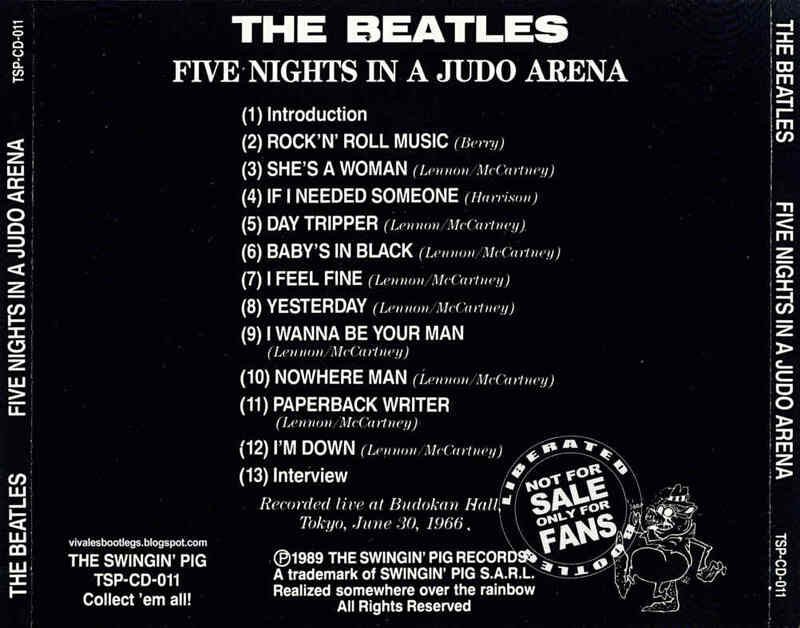 Notes: Luckily, a major new release brightened things up - Five Nights In A Judo Arena set a new standard in Beatles bootlegs with a deluxe color cover, accurate song listings, and best of all, a great-sounding concert from Tokyo in 1966, direct from Japanese TV. 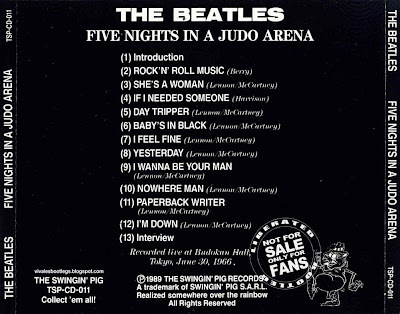 <-(Info taken from aboutthebeatles.com).